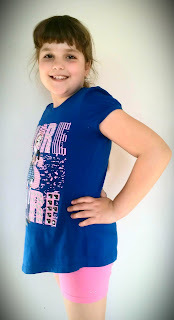 Being Frugal and Making It Work: Sparkle Farms Bloomer Shorts: Keep Your Daughter's Bottom Covered! 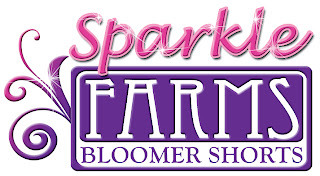 Sparkle Farms Bloomer Shorts: Keep Your Daughter's Bottom Covered! From the very first time my daughter wore a dress at just a few weeks old, I loved the matching bloomers that went underneath. Ruffles on the bottom, keeping her diaper covered and just the added cuteness! As she grew older, keeping her bottom covered when she wore dresses was even more important. As a playground monitor at an elementary school, I'm always shocked at just how many little girls don't wear any type of shorts or bloomers underneath their dresses to keep their underwear and bottoms covered while they are swinging, doing cartwheels and crossing the monkey bars! I'm one of those moms that always makes sure my daughter has everything covered, especially at school and on the playground! We recently received a set of 3 bloomer shorts from Sparkle Farms, just in time to wear with her Spring and Summer outfits. The first thing I noticed about these bloomer shorts were just how cute, soft and comfortable they were. My daughter loved how they felt and how they fit. They were super soft, moved with her and fit snug and perfectly! She also loved that they came in her favorite colors and had "bling" on them! They are perfect for wearing underneath her dresses or with her longer shirts. Short enough to act as a cover-up underneath dresses but long enough to cover what's important! They are great for her to wear during playtime, sports and even to bed! 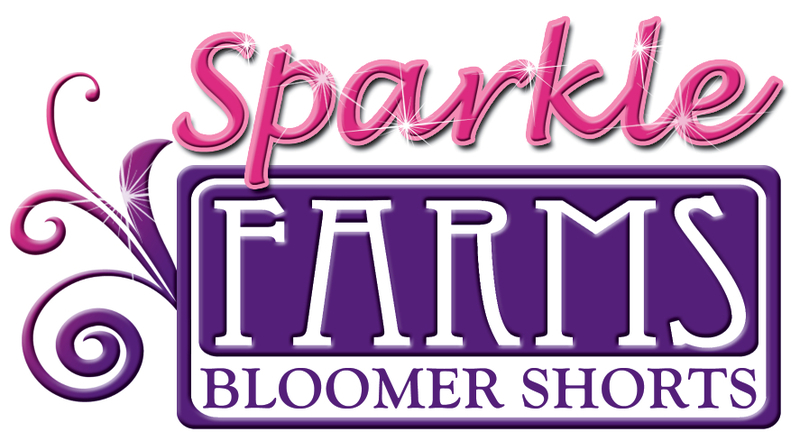 Sparkle Farms Bloomer Shorts are perfect for any girl that wears dresses, skirts, and tutus, the form-fitting design will not appear bulky under clothing. 95% cotton keeps the bloomers soft and breathable, while the 5% spandex helps them retain their shape after numerous washings. Sparkle Farms Bloomer Shorts are perfect for school, summer camp, trips to the park...anytime the little girl in your life wants to wear dresses and skirts and you want to preserve her modesty! Oh, and did I mention the signature sparkles on each pair? Bloomer shorts come in 11 different colors (including my daughters favorites: pink and purple), and sizes 3, 4, 5, 6, 7/8, 9/10, 11/12! 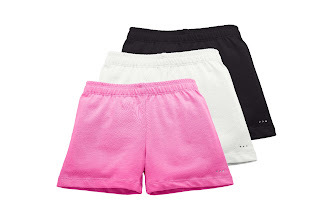 Bloomer Shorts are priced as low as $13.00 a pair, or you can now select a set of 3 bloomer shorts for as low as $25.00 per set, regular price is $39.00. This is a fantastic value!!!! Plus, you can get free shipping on orders $50.00 or more. Be sure to use discount code "beingfrugalandmakingitwork" for an additional $5 off your order! This special offer is valid through 12/31/13.